It looks like Congress is set to replace the federal education law known as No Child Left Behind (NCLB). 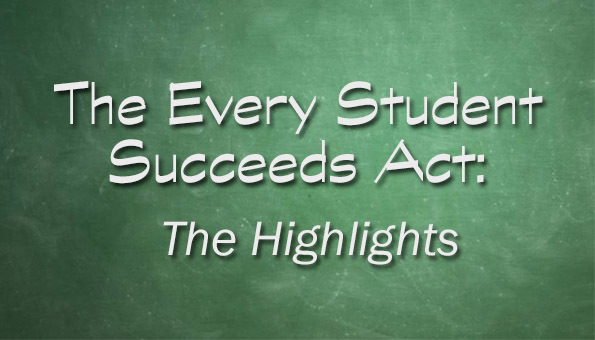 The new law, officially a part of the Elementary and Secondary Education Act (ESEA), has been named the Every Student Succeeds Act (ESSA). Originally passed in 2002, NCLB was due for reauthorization (which means an update) in 2007. Instead, Congress kicked the can down the road, allowing the original law to stay in place, and eventually President Obama and Secretary of Education Arne Duncan created a system where states could request waivers from parts of the NCLB law as long as certain principles were followed. Congress began hashing out the details early in 2015. The House passed one version, and the Senate passed another. A conference committee of 39 House and Senate members was put together, and the compromise passed with only one “no” vote (from Sen. Rand Paul R-Ky.). The official rewrite was released on Monday, and here it is. Politico said the House could vote as early as this week, with the Senate to vote the following week. Not yet having gotten through the entire 1,059 pages myself, here are highlights, gleaned from reading many of the pages, supplemented by other reputable news coverage (see Must-Reads below), of issues of previous interest here in Alabama. 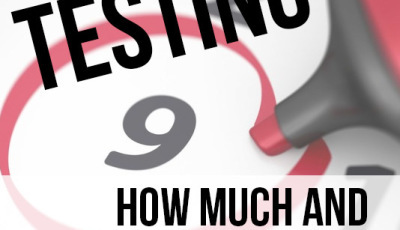 Annual tests in reading and math are required for grades 3-8 and once in high school, similar to the current law. Subgroups will be disaggregated for reporting purposes, similar to the current law. Adequate Yearly Progress (AYP) is no longer used in any form. States will craft their own accountability systems focused on proficiency (as measured by tests), English-language students’ proficiency, and graduation rates. Plans will be submitted to the U.S. Department of Education for approval, and will first go into effect during the 2017-2018 school year. States will be allowed to craft opt-out bills, but will still be required to have 95% of students participate. It is unclear how the law holds states accountable for this measure. There is no mandate in ESSA to use student achievement/test scores in teacher evaluations. “Highly-qualified” status has been removed as any type of indicator. those in the bottom five percent of performers. high schools where one-third or more of students do not graduate. those where a subgroup of students consistently underperforms. Charter school accountability will be dictated by each state’s charter school law. Two levels of support are identified: (1) comprehensive and (2) targeted support. The Common Core State Standards (CCSS) are mentioned nine times in the bill, though not in a positive way. The Secretary of Education cannot “influence, incentivize, or coerce” states to adopt the CCSS. No federal money can be used to field test, pilot, or otherwise sponsor development of any assessment related to the CCSS. The federal government cannot require states adopt any specific academic standards at all. The phrase “challenging State academic standards” is used to describe the academic standards states are expected to have in place. ESSA will be in effect for four years, beginning with the 2017-2018 school year. Waivers will end on August 1, 2016. Annual state, district, and school report cards will be required. “Parental involvement” provisions have been renamed as “parent and family engagement” provisions. Still studying the consolidation of allocations for a multitude of previously-line-item’d federal programs. Education Week has kept a close eye on the ESEA reauthorization process and consistently provides the most thorough coverage. Though it requires a subscription, you can register and see many articles for free. 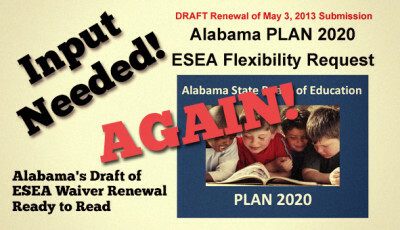 The new ESEA in a single table – November 18, Michael Petrilli; a look at the old and the new. Could be a bit outdated, though. 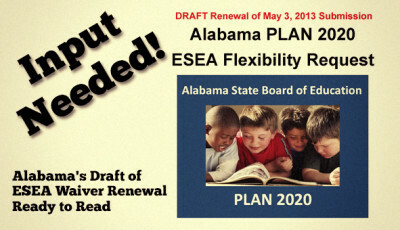 The Alabama Accountability Act Basics. UPDATED. 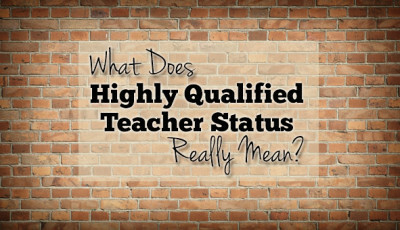 What Does Highly Qualified Teacher Status Really Mean?